Caerphilly-based IT firm Team Metalogic is the only Welsh business to be named in the Top 50 Managed IT Firms in the UK. The top 50 list, which was announced at a ceremony at the Institute of Directors, London, was vigorously scrutinised with over 200 questions being posed to the applicants during a three-month process. Mr Parfitt attended the ceremony along with Technical Director, Marc Ranford, in London to receive the award at a time when the business is going through impressive growth. “As we approach our 15th birthday, the business really is reaping the rewards of years of hard graft, dedications and honest and open ethics when it comes to how we work with our clients. We don’t build this business on selling what can make us the most money, we build it on what is best for the client. As a result, that enables us to keep clients happy, compliant and with an IT system that works for them; not our billing targets. 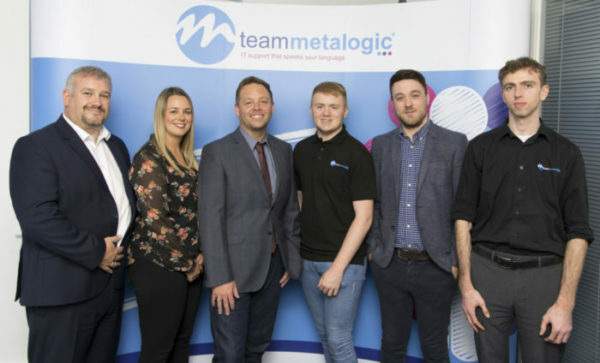 Team Metalogic was founded by Mr Parfitt in 2003 and over 14 years later, the business employs a team of seven staff from its base in Caerphilly Business Park. For more information regarding Team Metalogic, or for any advice on IT systems when it comes to mergers and acquisitions please call 0345 521 0618, email info@teammetalogic.com and follow @TeamMetalogic on Twitter. An average success rate of 90% when it comes to attaining desired coverage. Key journalist and editor contacts in regional press, lifestyle puiblications, trade specific publications and online sites.